Back in September 2015 on my first day as the Guild Manager, I walked into a very bland, quiet and frankly boring building. Inside were five wonderful people all willing and wanting to do amazing things, but with little direction or support and they were frankly exhausted from keeping things afloat. No one outside of the organisation really knew who we were and we had little, if any, impact within NUS Wales. We were known as ‘Glyndwr Guild of Students’ and whilst we were supported by the University, we weren’t independent from it which is a problem when it comes to being a truly representative students’ union. 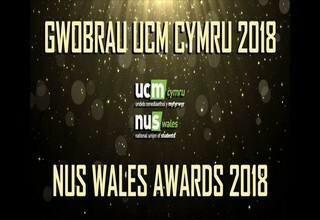 Well, I’m going to fast forward just over two and a half years to March 2018, we’re sat in the office today all a bit giddy because we’ve just been awarded with the NUS Wales HE Students’ Union of the Year 2018! To say we are happy is an understatement, we’re so proud, humbled and just flipping excited by it! On a personal note I am so pleased that the team get to see some real reward for their incredibly hard work over the last year. They are an incredibly inspiring team to work with and I genuinely count myself lucky that I get to come and work with them every day. They push me to achieve, I push them to achieve and we are here because we want to be. It’s been an incredibly busy few years, we’re now a charity, we have more staff working on representation and communication, more staff dedicated to advice, better support for our officers and we even managed a massive refurb and brightening up of the building whilst we were at it! We are now well and truly ‘on the map’ nationally, I believe we are making a genuine difference to our students time at Glyndwr and that the students’ union is a motivational environment to be in. If you’re a student reading this and you aren’t currently involved with the SU, I’d urge you to get in touch, find out what we do, come to us with ideas or just pop in and see what we have to offer. Once again, massive praise to the team in the SU, our Board of Trustees and a huge thank you to the University for supporting us to become the Welsh SU of the Year 2018.